Welcome to the world of Springboard Discovery Boxes, where you will discover a new concept of child-led, child-centred spontaneous play and learning. The Discovery Box concept is not new, but everyone who tries it seems to discover their own way of creating and playing with them! The idea behind my approach is that a discovery a child makes for himself is more satisfying and enduring than an adult-directed learning activity. A child isn’t motivated by being told to learn. He is motivated by his own desire. Learning isn’t about being tested or labelled and put in a box. It’s about understanding the world. Instead of telling a child, in effect, “This is what I want you to learn today. Let’s do it my way because I am older so I know best,” my approach is more like, “Here is a box of stuff. It’s for you to do whatever you want with. What can you find?” The child opens the box and the learning that he is ready to do occurs effortlessly and spontaneously. Young children have an inbuilt hunger to understand their world; they are biologically programmed to explore, create and seek out new experiences. They need to master their environment and grow in independence. They impulsively pick up natural ‘treasures’ such as stones, pine cones and feathers when exploring their surroundings. 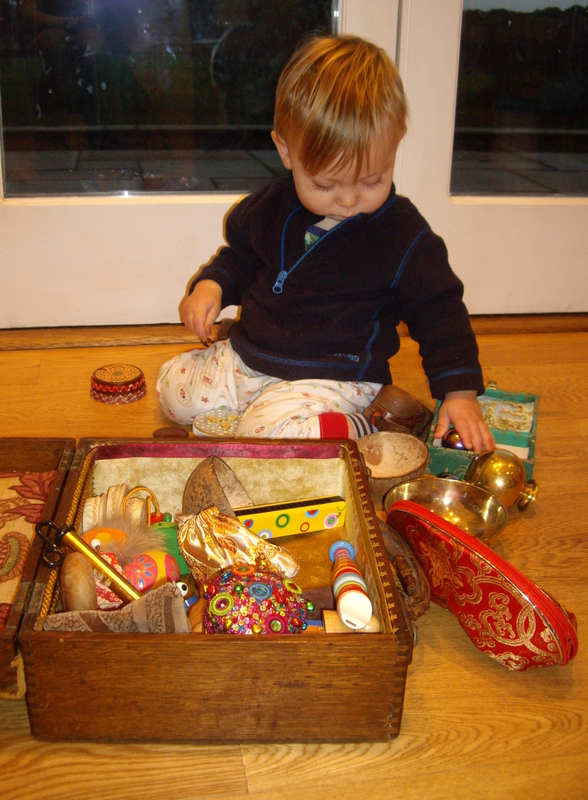 A Discovery Box simply gives a little structure to the satisfaction of this natural urge and provides the tools and resources necessary for a child to explore a wide variety of fascinating objects, which are pre-organised into learning areas or themes. This motivates the child’s exploratory urge while allowing a deeper focus and sustained attention span to establish, leading to new discoveries and assisting brain development – thinking, imagining and inventing. There are so many toys out there already for your children. 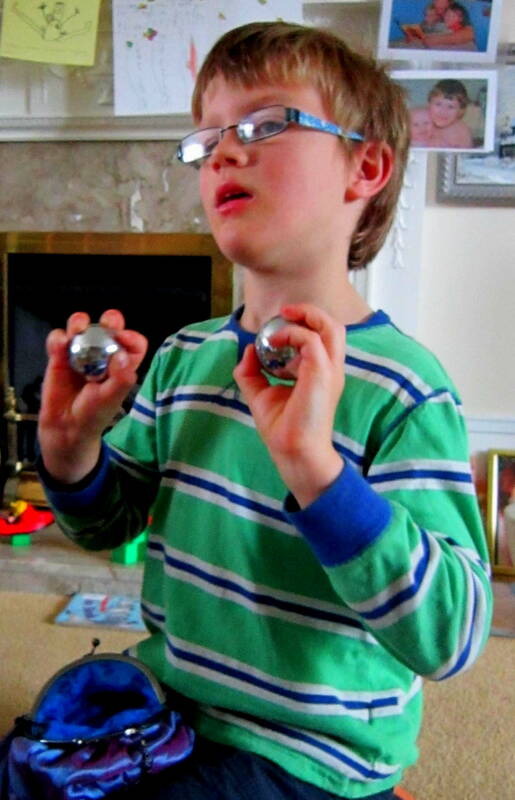 Many of them claim to help hand-eye coordination or brain development. Others are just ‘quick-fix’ gifts that quickly lose their novelty value. It’s so easy to steer your little girl towards the designated ‘girl section’ of a toyshop, where she can access hundreds of commercial pink’n’pretty girlie items, from Hello Kitty stick-on nail art to fairy wings and bug-eyed Bratz dolls. And for boys there just as many plastic superheroes, Bob the Builder figures and Thomas the Tank trains. But do you really want to put your kids in a box? How can you know what is a truly worthwhile and educational toy that will be loved, treasured and returned to again and again? And what’s the point of a Discovery Box? Is it in fact a toy? If so, how is it different to any other toy? 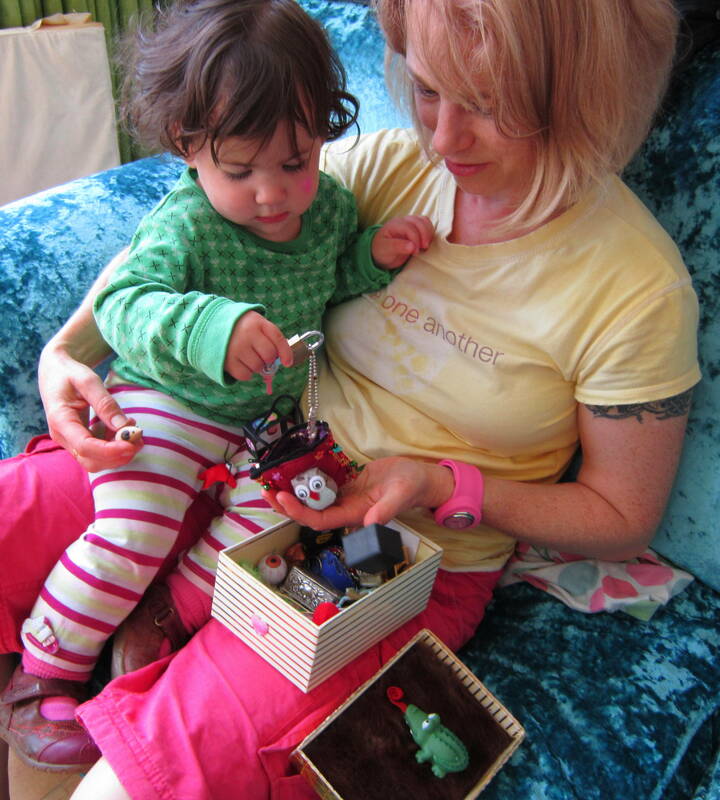 A Discovery Box is not a toy, and the objects inside it are for the most part, not toys. The fact that children absolutely love playing with them is probably because many children love REAL things more than toys. So what is it then, if is not a toy, yet children love it??? 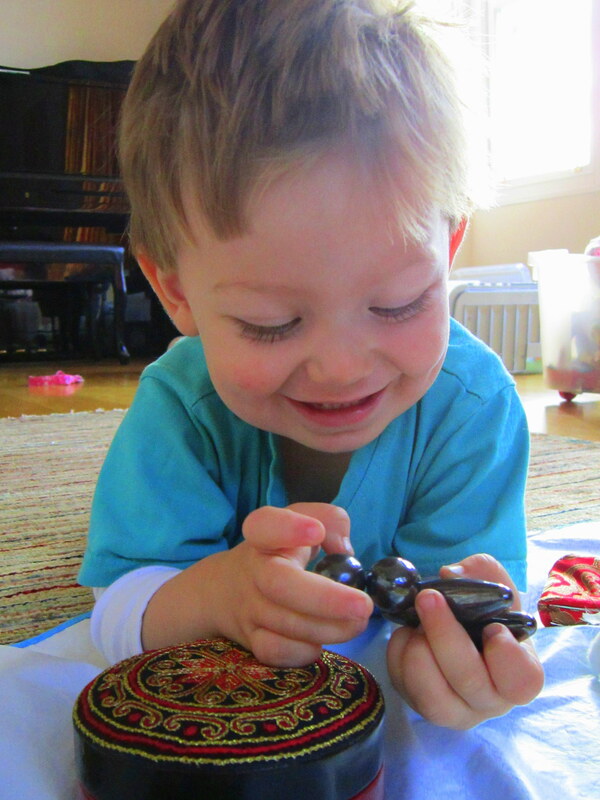 A Discovery Box is an endlessly absorbing educational resource. 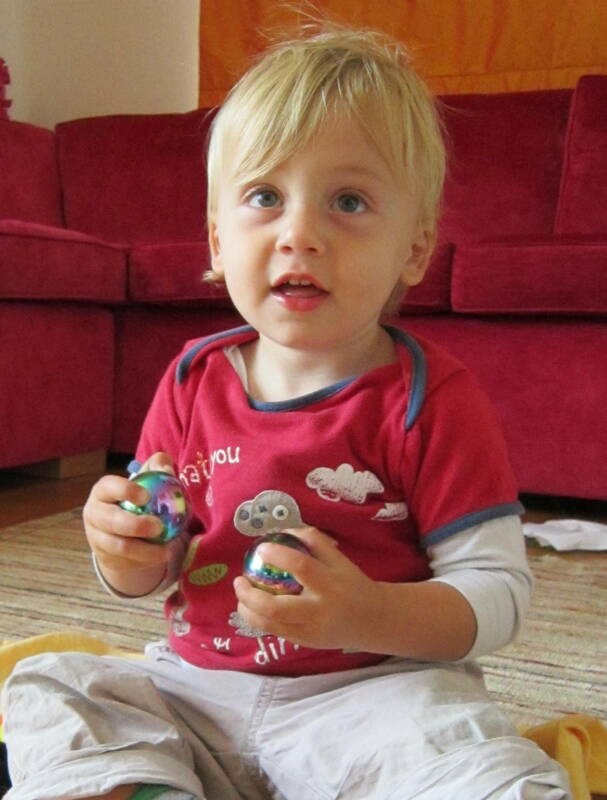 It is designed in collaboration with very young children, seeing the world through their eyes. It leads them on sensory, scientific and imaginative journeys in which their own motivation propels them into their own discoveries. With most children’s playthings, what you see is what you get. A doll or a pram or a puzzle cannot be or do anything other than what it is designed for. 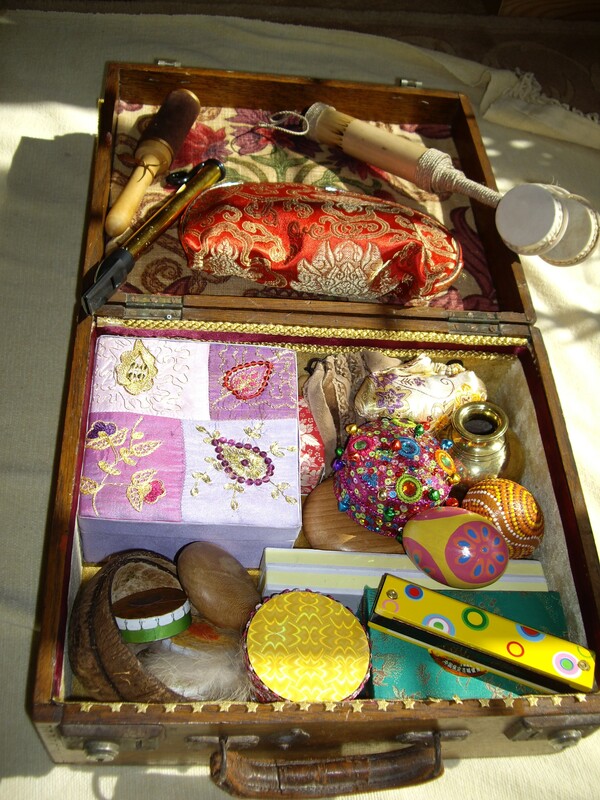 Most of the contents of a Discovery Box are so open-ended that they can be played with in a hundred different ways according to the age and personality of the child or adult. A Discovery Box is like Christmas morning – full of mysterious surprises. 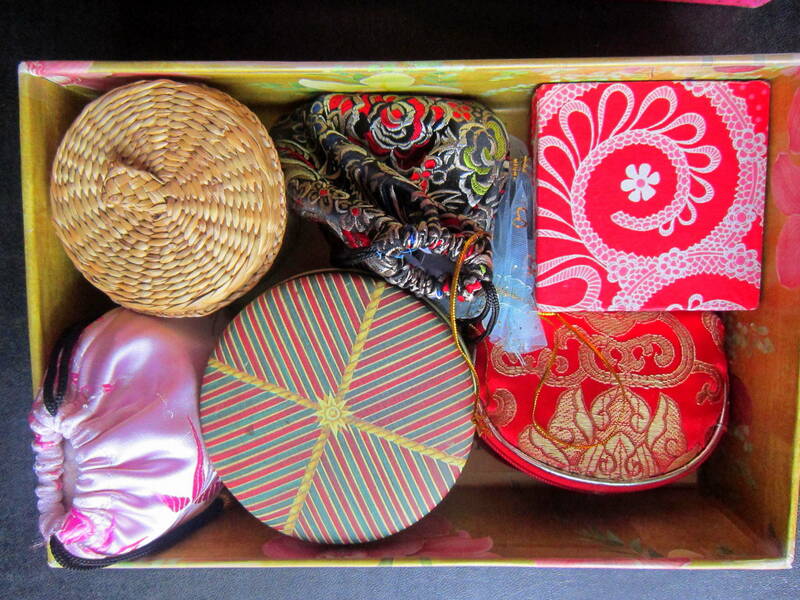 Each surprise is hidden inside an exciting little bag or box that no child can resist opening. Sometimes what’s inside is so unusual that it must be explored further to find out what on earth it does. 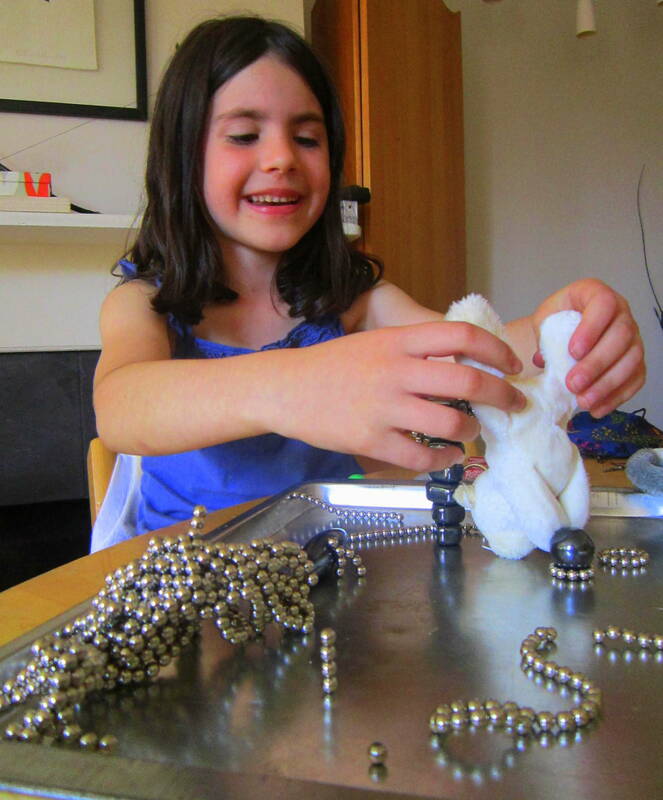 Or so simple that the child’s imagination reaches out impulsively to connect with the materials, extending their play in dozens of different directions. Spontaneous delight, laughter and wonder often result from the discoveries that follow. And many of the objects interact with each other in unexpected ways, leading to yet more discoveries! When provided with open-ended materials to stimulate the senses, curiosity and imagination, children fully engage and switch on! A child instinctively knows what he needs to learn next and will seek out that learning for himself to further his own knowledge. This process is entirely unconscious. If a child is allowed to make his own discoveries at his own pace, learning becomes a satisfying, absorbing and enjoyable activity. 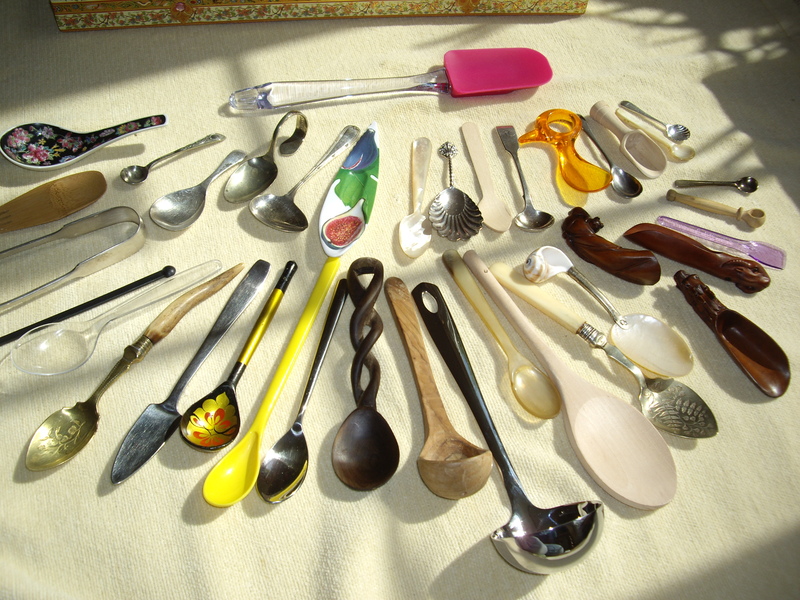 The words I hear most often as the children explore a Box are – “What is it?” – “Oooooh….LOOK!” Don’t rush to tell them it’s a citrus squeezer or nutcracker. Watch as they find out for themselves what else it could do. 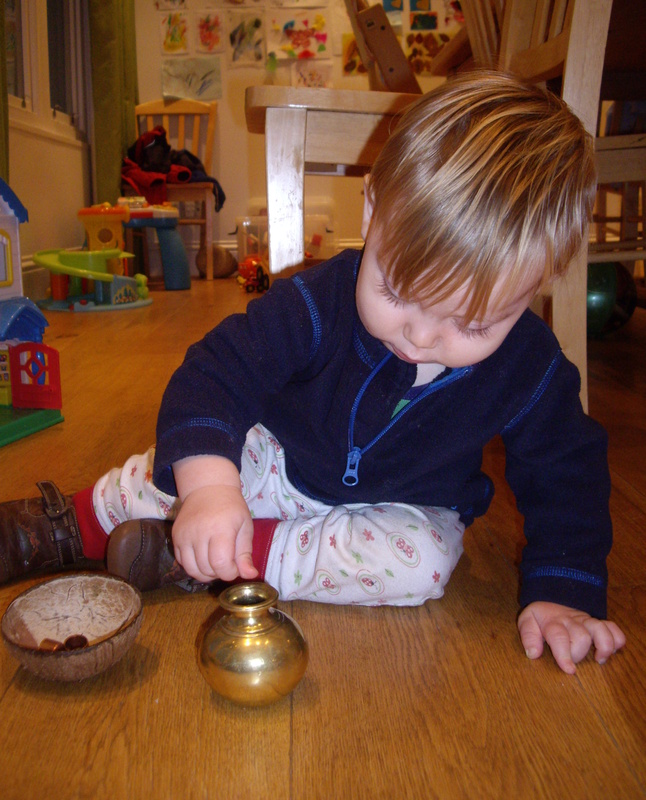 Without realising it, all kinds of scientific, mathematical and creative concepts as well as imagination, hand-eye coordination, musical discernment and the fine motor control necessary for writing and using tools are learned spontaneously as the child plays with their Discovery Box. All this, and developing the joy of learning, is immensely helpful for a head start at school and work! My Boxes are loosely based around various educational, scientific and fun themes, to help me decide what to put in each one. But as a child sees it, all of them are just multi-dimensional and totally open-ended treasure boxes, which can spring off wherever their imaginations take them…..hence the name Springboard. After all, the whole point of me doing all this is to encourage people to step OUT OF the box, (you know, the one we usually use to think with), tear off the labels, roll around on it to flatten it out, and use it as a magic carpet! 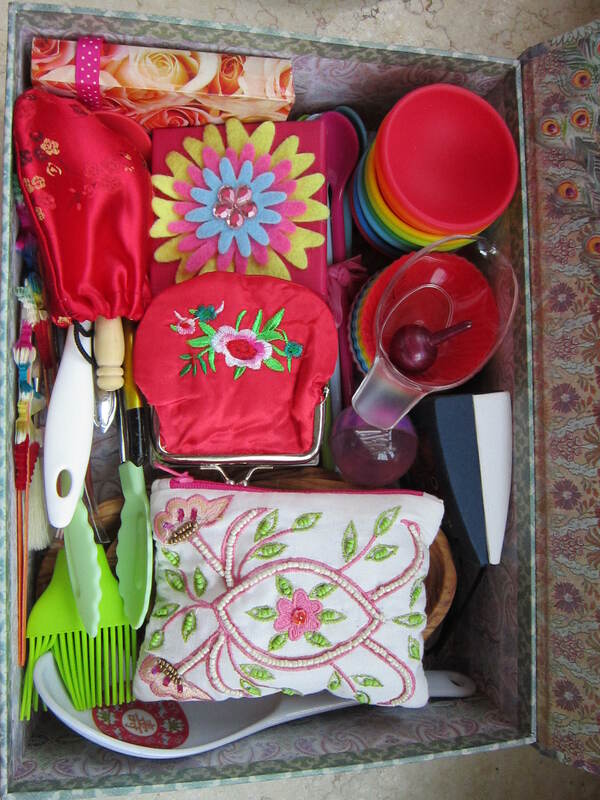 As an add-on resource to increase the fun to be had with each Box, I like to provide a ‘toolkit’ of utensils that help the child explore their chosen media – buttons, glass pebbles, pompoms, playdough, nuts or other natural objects – to its fullest extent. 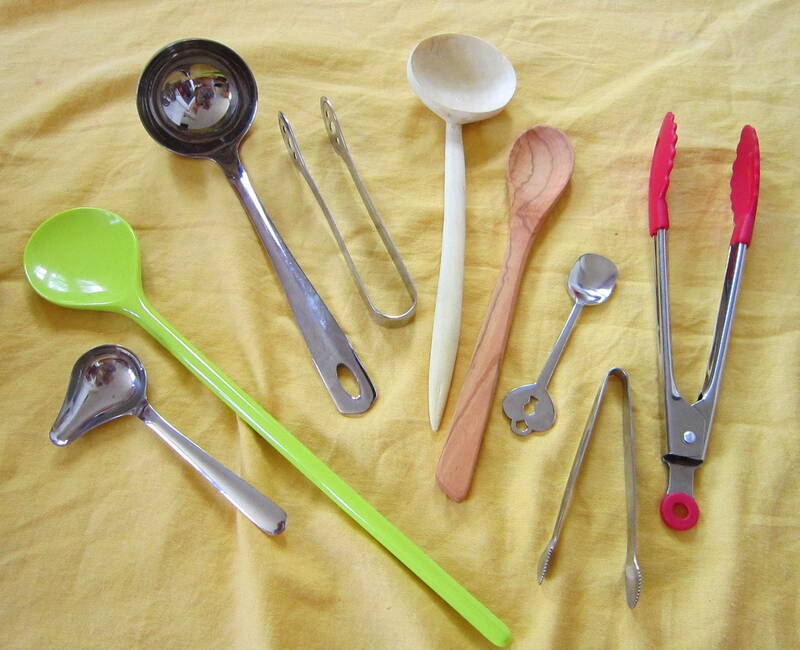 Many of these are based around Montessori education – “what the hand does, the mind remembers” – and so I include various tongs, spoons, spatulas and bowls to encourage sorting and transferring activities. These develop coordination and strength in the hand muscles, so they will be ready to hold and control a pencil or other tools later on. 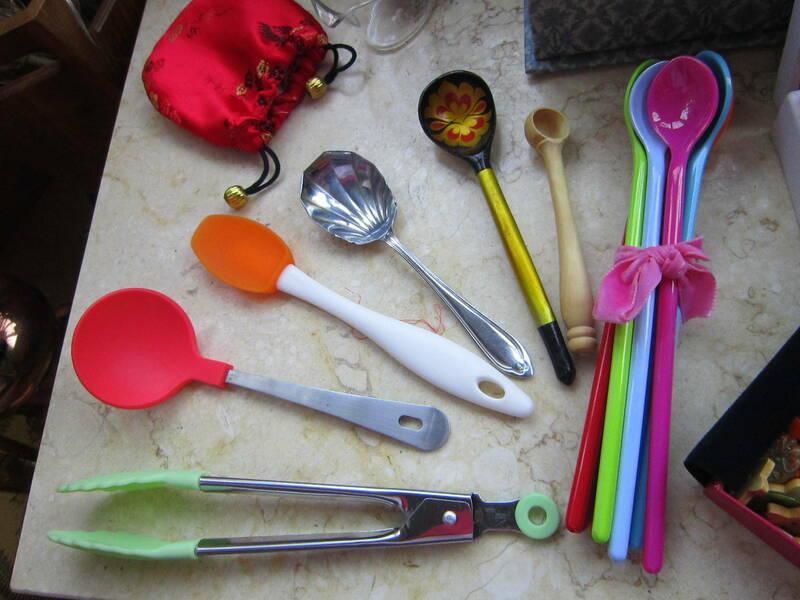 Some of the various different tools and utensils I put in the toolkit for children to experiment with…. I believe children are their own best teachers, they instinctively know what they are ready to learn next, and if we can only watch and listen to them (their REAL needs, not the ones our materialist culture programs into them) then we will know what to provide them with to facilitate a real joy in learning. This is what I am aiming for with the Discovery Boxes. I am currently developing additional boxes based around exploration of feelings and emotions, role play, the Four Seasons and new ways to use traditional resources such as playdough. I want to counteract the bland plastic Disney princess toy culture that is so easy to buy into, and instead, help enrich a child’s world and encourage their journey of exploration through life. This little one is unconsciously learning fine motor control, hand-eye coordination, scientific concepts and object permanence with some of the contents of his Discovery Boxes.